Well, the winter has not been wasted, although its slow going. 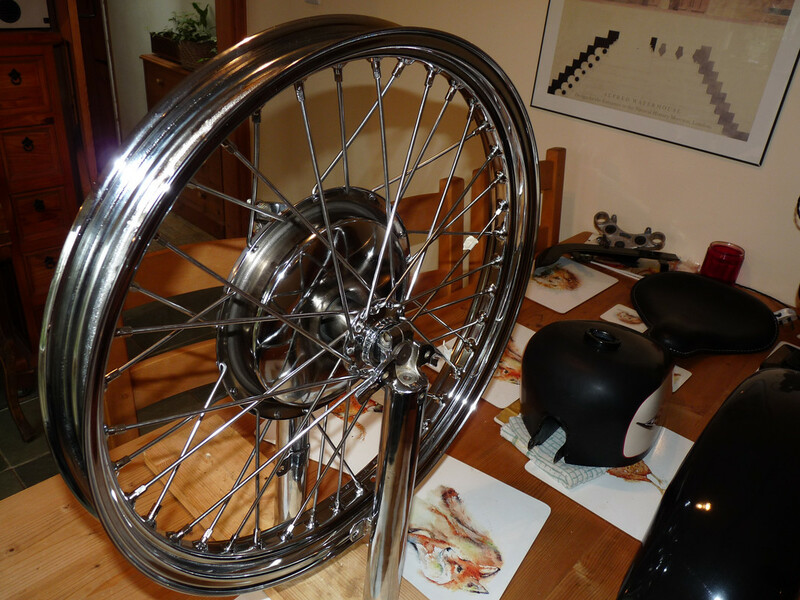 Some pics to show I NEARLY have a Harley ! Just waiting for the swing arm to be chromed and then it will all go back together. Nicely done, let the bonding continue! 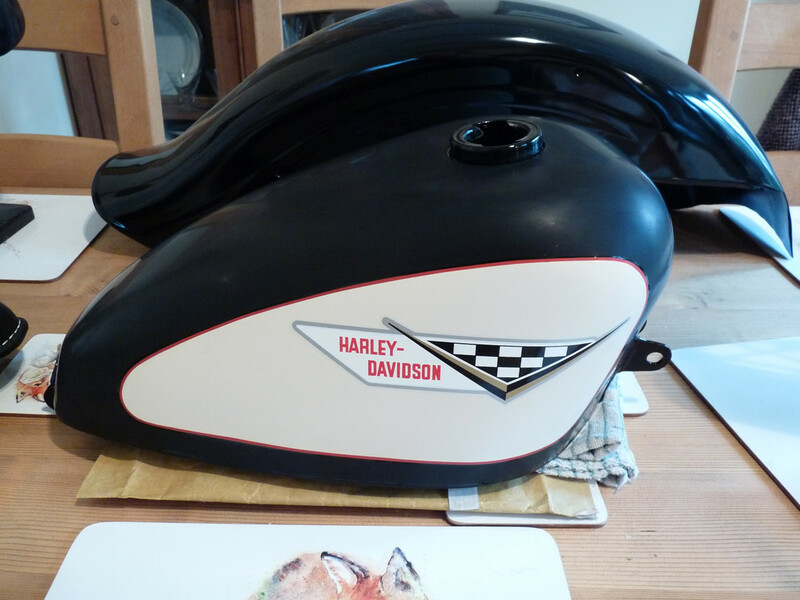 that's one of my favorite gas tank decals.is that a base coat/clear coat finish? I had never done decals/transfers before....bought some expensive ones from the US , applied as per instructions, but they were so delicate that one got torn before I got the lacquer on! Im sure you will not be so heavy handed.. When were you at Angouleme?? I was racing there last September.